Looking for the best place to sell silver in NYC? 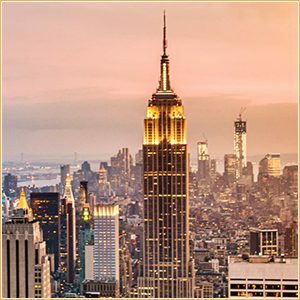 Visit NYC Bullion, located in the Diamond District, in the heart of Manhattan! When selling silver, many silver buyers in NYC engage in unscrupulous exchanges that don’t benefit people looking to sell. NYCBullion is one of the few who buys silver and gives you confidence that you have received the best deal possible when you sell silver bullion. From silver jewelry, coins and bars to silver scrap, we ensure that you get a pleasant experience when selling silver in NYC. We have highly experienced professionals that will check the authenticity of your jeweler’s stamp right in front of you. Come and visit us today! When it comes to selling silver in New York, you won’t find a better place than NYCBullion. You don’t have to think about deceitful businesses or unfair trades anymore. Unlike many other silver buyers, we buy silver only after giving you qualified expertise in silver coins, bars, jewelry, and scrap authentication. Each piece of silver bullion is examined by our skilled experts right in front of you, to ensure that you receive the right information about it. When you sell silver, you should keep in mind that is very important to receive complete and trustworthy details about your silver belongings in order to be confident that you get the best exchange deal possible. For this reason, NYCBullion is the best place to sell silver – you benefit from all of the above right in the heart of the city – in the Diamond District. Your satisfaction when selling silver is what motivates us to make this process easy and efficient. If you’re still thinking about how or where to sell silver in NYC, visit us and confidently enjoy the best cash for silver prices and expertise on the market. Stop searching for where to sell silver – NYC Bullion is here to give you guided assistance in selling your silver. Thinking where to sell silver coins? NYCBullion is one of the few silver buyers in NYC that guarantees you full transparent authentication of your silver coins. Visit us and get the best offer for your precious silver coins! Wondering about how to sell silver bars? We buy silver of any shape and size, providing you a great experience in authenticating your silver bars by paying out at some of the best rates on the market. Recently decided to sell silver jewelry and looking for the most trustworthy silver buyer in New York? We are waiting for you here at NYCBullion. Come and get the best cash-out for your silver rings, earrings or necklaces. Among all other silver buyers in NYC, we are one of the few places where you can get a great return on your silver investments. When selling silver in NYC, it’s easy to find scammers that take advantage and give you unfair exchange offerings. With NYC Bullion, you can forget about them and be 100% confident that your silver bullion is assessed at the best rate and ensure yourself a superb payout. Stop getting scammed by buyers with little interest in giving you a fair payout. Here at NYCBullion, we strive to give you a pleasant, convenient, and honest way to receive cash for silver by providing exceptional service. With us, selling silver is easy, comfortable and trustworthy! Simply stop by at our store located right in the Diamond District Area, or sell to us right on our website, and you can get your deal in no time! Our doors are always open for you to visit us and get a professional assessment of you silver bullion, jewelry of scrap silver. Right in front of you, our experts will give you the most thorough assessment of your silver, even if it has no jeweler’s stamp – we are equipped with everything it takes to give you a thorough examination. If you choose to sell silver online, you simply need to complete the “Get an offer now” form and in short time you will receive your customized offering. 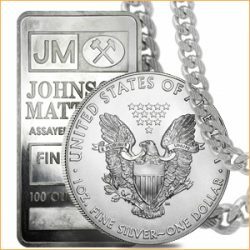 Searching where to sell silver scrap for cash in NYC? We are here to cover that, too! We will be happy to give you skillful expertise in appraising any type of silver scrap. Simply visit us in the Diamond District Area or contact us online and you will be one step closer to the worthiest cash payout.